Full-Service Custom Home Builder in Michigan! We are Blue Line Building Co. Our passion for building new homes started in 2010. Our work also includes home renovations and decks and patios - both large to small scales. Blue Line Building Co. works with you from start to finish on your new home building project. We create home designs and provide you with all of the services needed to complete the build of your home. Don't have a design, but have a vision? We've got you covered! Our professional team of experts will work with you to create a design plan and help you configure new parameters if you change your mind on a detail. 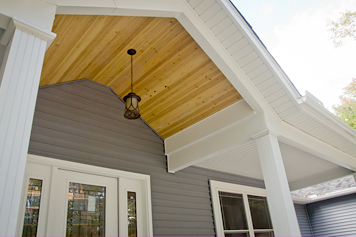 We can help educate you with options and solutions in the home design and building process. We understand that building a new home can be a very daunting task, and you probably have a lot of questions. As your one-stop shop, our mission is to make your home building experience less stressful and worry-free. You will work with us the entire process. We will also provide you with the option to stay in the know at all times on your project via our Co-Construct Portal. This allows you to stay connected and keep abreast on your new home. Working with the experienced professionals at Blue Line Building Co. means no surprises, no delays and no hidden fees. We keep you informed 100% of the way. Get started on building your new home today. We are a licensed and insured residential home builder located in Brownstown, Michigan. Our company is an EPA Lead-Safe Certified firm, a member of the National Association of Home Builders, and a member of the NAHB Remodelers. The crew at Blue Line Building Co. is fully trained, licensed and insured in new construction renovation and decks and patios. We know that allowing our company to build your new home takes trust. Our honest and reliable professional team takes pride in every single project and we will work with you in creating a trustworthy environment. We have high standards at Blue Line Building Co. and so should you. We are dedicated to excellence, and our team gives you only the best skills, services and techniques needed to construct your new residential construction or renovation project. The quality of their work was impeccable....we have recommended Blue Line Building to friends who have used them and been happy with their work. Tama A.